Modern Canna Science is an industry leader in PAH testing for the cannabis sector. Small traces of contamination have been found in some cannabidiol (CBD) oil. This means much of the CBD products sold over the counter may not be as pure as originally claimed by the manufacturer. For the manufacturer and the supplier that provides the core ingredients, extensive PAH testing must be done to determine the purity and integrity of the products used by thousands of Floridians. First, it’s important to know what polycyclic aromatic hydrocarbons (PAH) are. This is a chemical that emits when certain substances are burned. This includes known hazardous and cancerous substances, such as landfill waste, oil, gas, plastics, lubricants, electronic circuits, rubber, and coal. PAHs are known for their mutagenic and carcinogenic effects. There are over 100 types of chemical PAHs. Under the European Union, eight PAHs are known to be especially hazardous, and products cannot exceed a certain concentration threshold. PAH testing determines the level of certain PAHs when the item under question is burned. Gas chromatography is one common method for PAH analysis. The process involves the use of a gas chromatograph (GC) machine. Under the procedure, a sample is placed in the instrument where it goes through a tube filled with a gas stream. 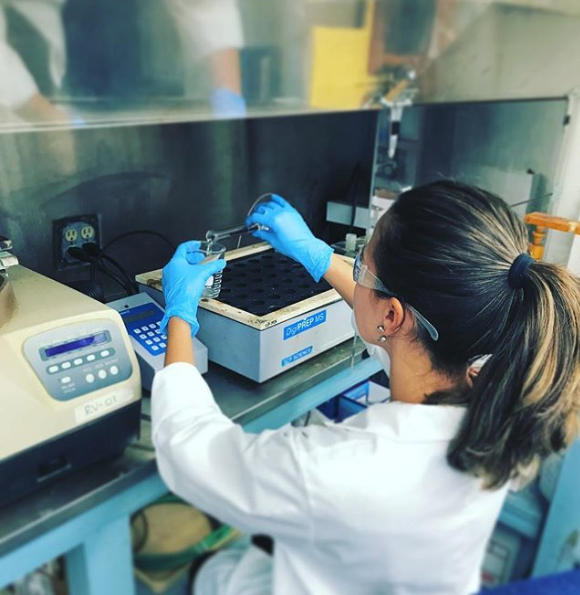 This separates the sample into its smaller components, allowing each component to be analyzed for its organic and chemical makeup. Any sample that demonstrates a sufficient level of volatility and thermal stability can undergo gas chromatography testing. It has come to light that small traces of PAHs have been found in leading CBD oil brands. According to the International Cannabis & Cannabinoids Institute (ICCI), 20 of 29 CBD oils from European brands tested below satisfactory levels after sufficient PAHs levels were detected. The Department of Food Analysis and Nutrition at the University of Chemical Technology has joined forces with ICCI to classify PAH as a carcinogen. ICCI also tested cannabis oil, which should not be confused with CBD oil. The former is derived from cannabis seeds and not from the plant itself. Cannabis oil fared better under the same testing, where just two of the 25 products tested showed traces of PAH beyond the acceptable threshold. Though the CBD and cannabis oils tested were of European origin, the results do lead one to wonder about the quality of similar products manufactured in North America. Do you have the scientific data to back up your product? Without standardized testing, can you say for certain your oil doesn’t contain cancer-causing compounds? Whether you are a Florida manufacturer or supplier, the quality of your products depends on the quality of the cannabis plant or seed from which the oil is derived. Call Modern Canna Science for PAH cannabis testing to determine the quality of your sample. Knowing the purity level is the first step to ensuring you supply your customers with the best marijuana products.